The American singer had a huge disappointment with her efforts when she felt she couldn't go on with her wedded life with Nick Cannon. The reason for she didn't make it was that she wanted to stop herself from repeating the same mistakes her parents did with their married life. The former couple decided to part their ways after spending six years of married life with each other in 2014. They also have 5-years-old twins from their marriage. Though they split amicably, the superstar has been in contact with her ex husband as they are dealing with legal issues for their divorce petition and children custody case. 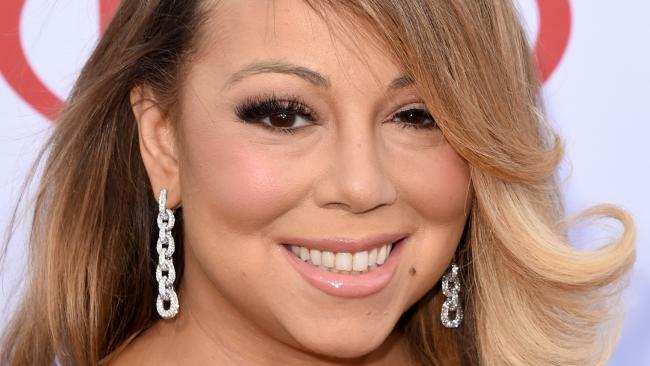 Mariah has admitted in an interview that didn't ever imagine she would ever come apart from Nick. She said it was beyond her imagination that she would have children with someone and then part ways. She also mentioned her parents' split when she was young. Before Nick, the ‘without you’ hitmaker tied knots with Tommy Motorola who works as a music executive in 1993 but their association came to its ultimate end after 7-years of the marriage. And while facing problems with Nick, it was like repeating the past for her but it had to happen so it happened and she says she is fine with it. However, she feels bad for her kids admitting it shouldn't have happened that way. On the other hand, Nick reacting on her comments reveals that he feels the same way as his ex-wife does. He thinks he and Mariah have the same sentiments when it comes to their marriage and its end. The life must go one and so, the 46-years-old has also moved on in her life and is going to marry James Packer who belongs to Australia and is a billionaire businessman. According to the singer, it's good for her that James admires her music and it would make a great companionship between the two. She says she thinks it's good that her fiancé likes her music because if he didn't, how would she be able to handle him when they're together and the all she's doing is making new music. Mariah’s new man recently attended a number of dates with his fiancée fantasy tour and made her days with full of love and bliss. However, the singer is aware she can’t have him all the time with her because of his chaotic work schedule. She says she doesn't expect him to be around her with everything that she does. Mariah commented that they both have lots of stuff on their plates and they understand this is the life. They exchanged engagement rings in January 2016 after a whirlwind love story and the star is currently off the work and spending her days with her husband-to-be enjoying a family vacation in Capri, Italy. The news are also in air that like Mariah, Nick has also decided to move on and is hanging out romantically with the TLC singer Chilli. Sources claim, the host has always liked her and he feels she is a pretty woman.